Pierre Gasly says he is still ‘fighting’ with his Red Bull Racing RB15 despite qualifying in sixth position for tomorrow’s Chinese Grand Prix. The Frenchman made Q3 for the first time in 2019 after below-par qualifying results in Australia (17th) and Bahrain (13th). Despite the step up in Shanghai, the new addition to the senior Red Bull team still continues to feel unhappy with his own performance in the RB15. “I think that was the best I could expect,” said Gasly. “It still has been a tricky weekend. “We’re happy with the position, but I’m not satisfied with my driving still, I’m still struggling with the car, so for sure there’s some work to do. “I struggle to put the power down, and I fight a lot with the car. “I know the things I need to work on, probably try to change a bit my driving style and work together with the team to find a direction to make it bit more suitable to myself. Taking over Daniel Ricciardo’s seat after being promoted from Scuderia Toro Rosso, Gasly admits he’s been frequently looking into how his new team-mate Max Verstappen fares up on the race track. “When you’re in F1, the first thing you look at is your team-mate and the way he does things,” the 23-year-old added. “Especially with (Max), and the fact he has worked with the team. He’s really fast, and I have a lot of things to learn with him. “He has the experience as well inside the team, so for sure I try to get the maximum out of it. Gasly will start tomorrow’s race leading the field on the red-marked soft tyre, aware he’ll need to capitalise on his start while Verstappen and his team’s rivals ahead on the grid preserve their tyres to take a much later pit stop. “I’m the first one to start of soft tyres (tomorrow), behind the top five cars. 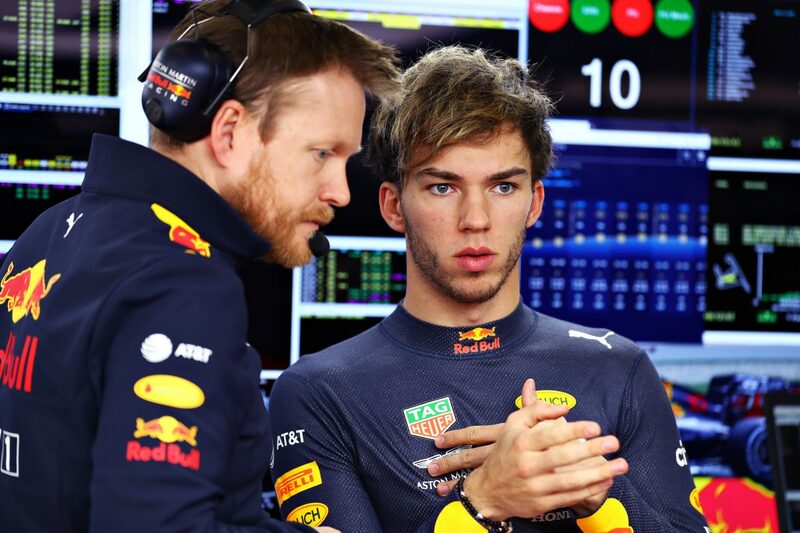 As we saw last year, everything can happen on this track,” said Gasly. “I think we have felt better in the long runs, rather than the short runs. We will see how it goes, push flat out, and see if I can make this tyre last. The Chinese Grand Prix kicks off tomorrow at the Shanghai International Circuit at 1610 AEST.